It is with deep sadness that the family of Susie McGough, age 86, announces her death on Wednesday, November 28, 2018. Susan “Susie” McGough was born in the Beaver Flats District, SK to Issac & Mary Dyck, the fourth youngest of ten children. She received her education in Beaver Flats and Herbert. Susie married a farmer from Ernfold, SK, Stanley McGough, on March 25, 1950. Stan & Susie were blessed with eight children — Patsy, Gary, Bruce, Marlene, Randall, Mark, Gregory, and Sheldon. 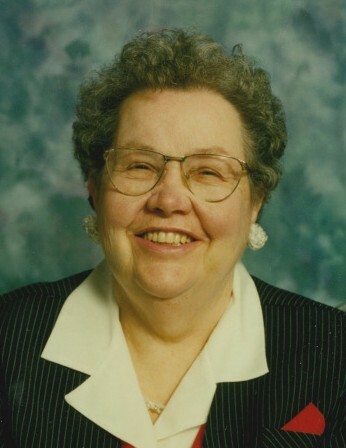 Susie was a joyful homemaker as well as a hardworking farm hand and a very devoted mother. Her grandchildren, great-grandchildren, and family gatherings brought her great enjoyment. Susie was predeceased by her husband, Stanley McGough; her daughter, Patsy; her sons, Randall and Gary; and by her granddaughter, Krista Racine. She is survived by her children and their families, Bruce (Wendy) and their children, Tyler and Tiffany; Marlene and her daughter, Mychelle; Mark (Teresa) and their son, Myles; Gregory; Sheldon and his son, Justin; and by seven great-grandchildren. The Funeral Service for Susie McGough was held on Monday, December 3, 2018 at 2:00 p.m. from the Ernfold Community Hall, Ernfold, SK with Pastor Lincoln Vellacott officiating. “How Great Thou Art,” “Nearer My God, to Thee,” and “Amazing Grace” were sung by the congregation with Marilyn Vellacott serving as pianist. The eulogy was given by Mark McGough and tributes were given by Susie’s children and grandchildren. The Interment Service was held from the Ernfold Cemetery, Ernfold, SK with Sheldon McGough, Greg McGough, Myles McGough, Justin McGough, Justin Fontaine, and Barry Haidt serving as Pallbearers. In memory of Susie McGough, donations made to the Ernfold Recreation Board (c/o Tammy Cornelson, Box 44, Ernfold, SK, S0H 1K0) would be appreciated by the family.